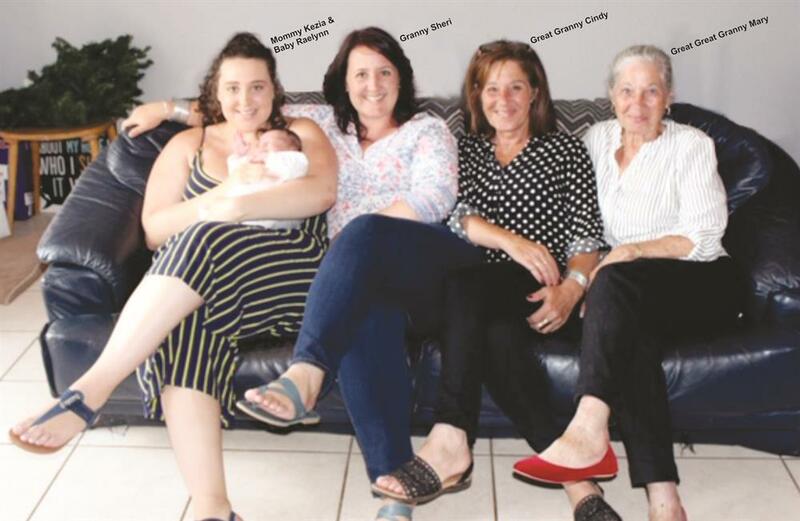 Kezia with baby Raelynn Rodriguez, grandmother Sheri van der Merwe, great-grandmother Cindy Hayes and great-great grandmother Mary Hayes. HEIDELBERG NEWS - Alan and Mary Hayes are extremely proud great-great grandparents. The couple have have been living in town for the past 20 years. The five generations were all born 20 years apart, and all the firstborns are girls. Latest addition Raelynn Grace was born on 30 December 2018 to parents Kezia and Randy Rodriguez.